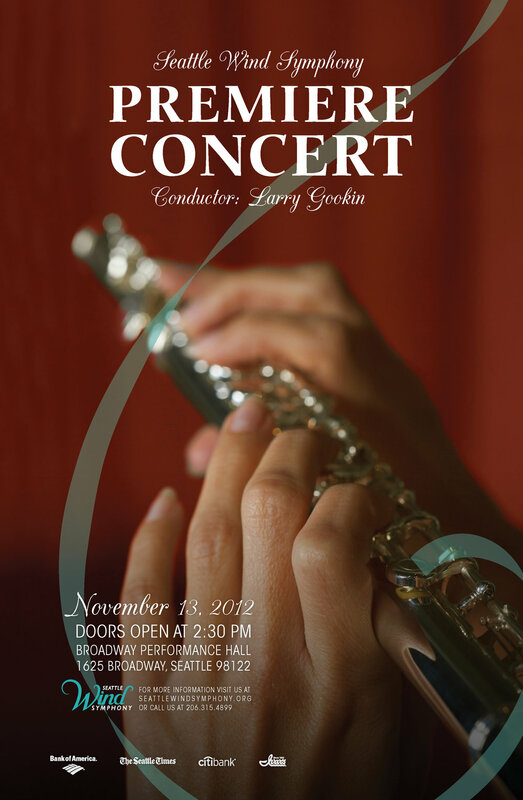 Seattle Wind Symphony is a non-profit organization company that formed in summer 2011 in Seattle. Their use of mostly wind and percussion instrument has made this symphony unique in comparison to others. The logo that I've designed is currently being used by Seattle Wind Symphony. 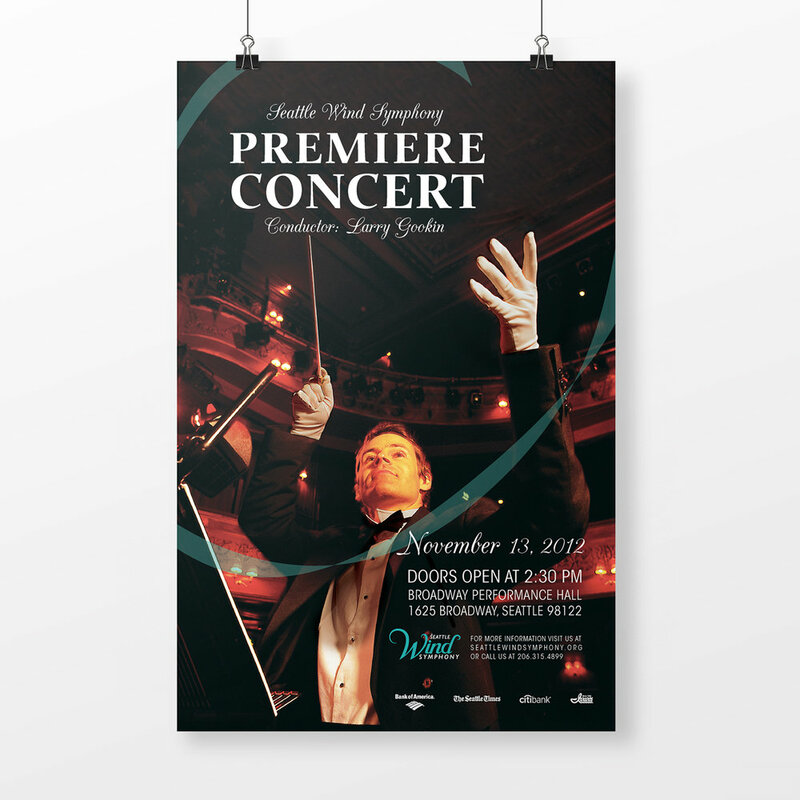 The event promo package (mock-up) design reiterate the effect of “Wind“, in Seattle Wind Symphony.